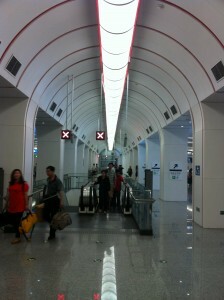 « Day 23 in Beijing: Connolly. Bruce Connolly. Day 24 in Beijing: Please Stan Fur and Hold The Han Ru! Trust me, lady with the sweet and kind voice, I’d love to, “Please stan fur and hold the han ru” but I have no idea what you are talking about. Let me back up. The lady with the sweet and kind voice isn’t real. Well, I guess she’s real because she recorded this message and it is now played in subways all over Beijing from 5:30 AM to 10:22 PM. You noticed that interesting fact, didn’t you, dear readers. The subway is incredibly clean and convenient. That is the exact time the subway shuts down, at least for line 5, where I get off to go to my new apartment. I have no idea why they shut down at 10:22 PM instead of 10:30 PM but they do. I’m guessing that is the exact minute the final train passes through this station on the way to its final destination but that could also just be my logic and totally incorrect. Most likely, as I’ve learned in my 22 days in Beijing, I’m probably totally incorrect. Being incorrect, in a way, is exactly why I moved to Beijing. I wanted to try a new life, a new place and a new culture. I’ve lived in the San Francisco Bay Area and there is a large contingent of Chinese people there and I’ve worked very closely with social workers and therapists from China at my previous agency, Family Service Agency of San Francisco. I’ve always enjoyed the people and the culture and then a job appeared that would allow me to move to China, and Beijing, in particular. 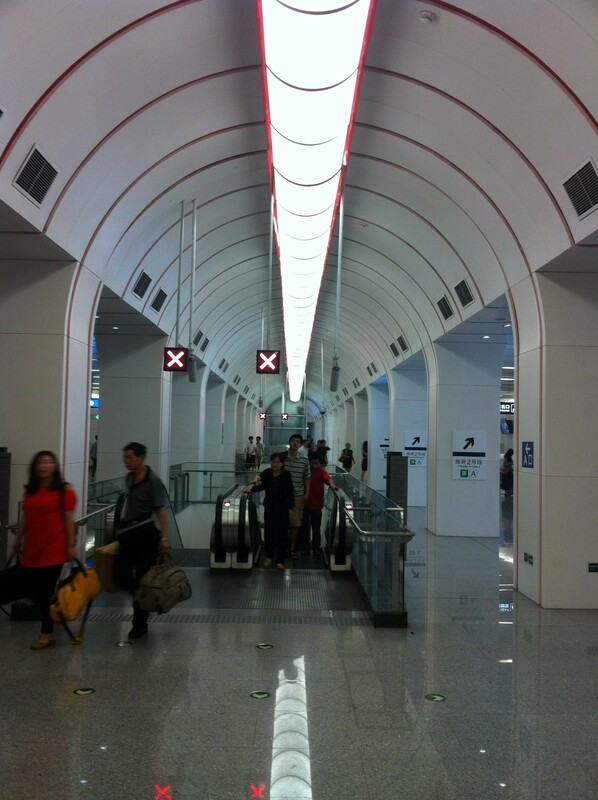 This is, in no small part, because of my elder brother who has lived in Beijing for about six years now. I owe him a great deal. And something I’ve noticed about Beijing is how incredibly kind and open they are to American visitors. There are so many ways that Beijing is set up for English speakers to succeed it is wonderful. From what I’ve been told this is in large part because of the Olympics. 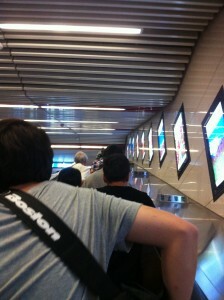 The city was transformed during that time to help people get around and a perfect example is the Beijing Subway system. Every single stop has Chinese and English. All the announcements are in Mandarin and English. 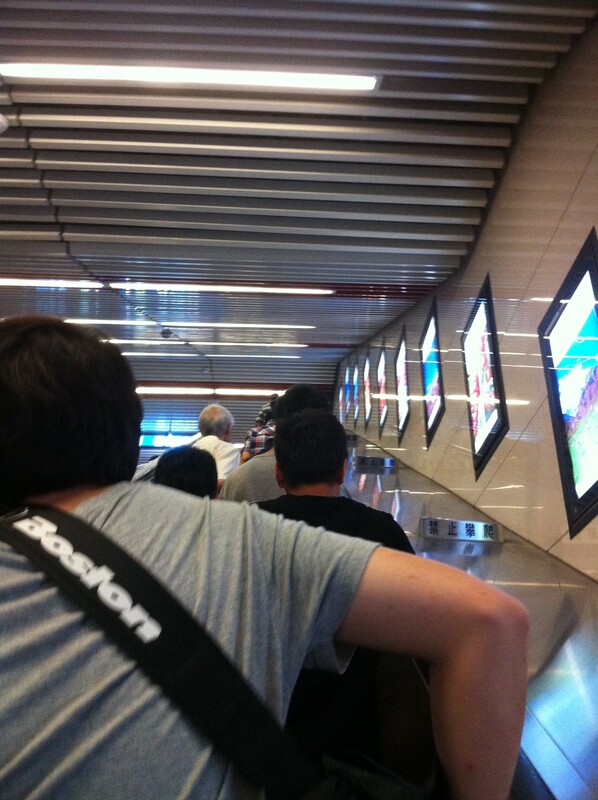 Many of the video screens on the subway run information in Chinese and in English. I’m truly lucky to be in Beijing at this moment. However, as I’m standing in the subway, listening to the lady with the sweet and kind voice, tell me to, “Please stand fur and hold the han ru” I realize what she means and start to laugh at my own confusion. Now, if you live in Beijing, you are probably already laughing at me also because you know exactly what she is telling me to do. This nice gentleman is Standing Firm AND Holding the Hand Rail. However, the person they had record this has a pretty strong accent and it is quite funny to listen to her say these words over and over again. This tape runs about every 30-45 seconds and I continue to get a chuckle every time I hear it. My lady with the sweet and kind voice is protecting me. Except, not today she wasn’t. She went totally off the rails and started having some type of mental breakdown. I’m a Licensed Marriage and Family Therapist in California. I know of what I write. To be honest, she reminded me of NOMAD from the classic Star Wars episode, The Changeling. For some reason, the recorded voice started repeating itself about every 10-12 seconds and often cut itself off and interrupted itself. And it didn’t stop. I was waiting at my station for about 10 minutes and she seemed to be having an inner battle and ego destroying confrontation with herself. I actually wanted to give my lady with the sweet and kind voice some therapeutic advice if she would have let me. My hope is she would and it would be simple. I look at her with empathy and understanding. She sits there, robotically looking bewildered (Can a robot look bewildered? Sure, why not, dear readers, this is my story). As she hears my answer she quietly cries and then smiles in joy and acceptance. The answer was so easy and she says just as I’m about to say it.